Ecommerce platform BigCommerce is appealing to sellers who use WordPress to power their websites. “New integration gives the WordPress community a scalable way to incorporate industry-leading commerce into a content-first site experience,” it announced on Wednesday. 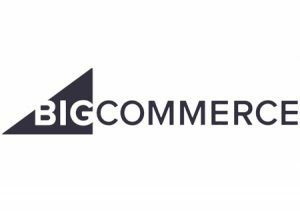 BigCommerce, the leading ecommerce platform for fast-growing and established brands, today announced the public release of BigCommerce for WordPress, a full-featured commerce integration for WordPress powered by BigCommerce’s scalable SaaS ecommerce platform. This integration expands the ecommerce options available to the millions of merchants using WordPress by giving them the ability to easily customize and grow their ecommerce businesses like never before. In addition, BigCommerce for WordPress is a pioneer in providing native support for Accelerated Mobile Pages (AMP) for ecommerce, more easily enabling merchants to deliver high-performing websites across mobile devices. With BigCommerce for WordPress, merchants benefit from streamlined channel management, access to hundreds of pre-integrated ecommerce apps, and 24/7 customer support from BigCommerce’s team of ecommerce experts. Additionally, natively embedding core BigCommerce functionality like cart, checkout, and account management, advanced promotional capabilities and access to more than 65 pre-integrated global payment gateways directly on a merchant’s domain allowing them to preserve the full site experience built on WordPress. – Integrated content and commerce experiences. BigCommerce for WordPress gives merchants access to the industry-leading ecommerce capabilities necessary to grow an online business at scale without sacrificing site content or user experiences. – Industry-leading ecommerce scalability. By transferring the commerce elements of a site from the WordPress admin to BigCommerce, merchants can enjoy a more efficient experience that is not impeded by back-end bloat, and can quickly scale ecommerce functionality as the need arises. – Native multi-site capabilities. BigCommerce merchants can now experience running multiple WordPress sites from a single BigCommerce control panel. With the expansion of BigCommerce Channel Manager, merchants can use a single product catalog and checkout to power as many WordPress sites as their business needs. – Enhanced ecommerce security and peace of mind. Merchants using BigCommerce for WordPress can increase conversion and security with BigCommerce’s fully-embedded checkout. Deliver the fast, responsive checkout shoppers expect, while reducing the burden of PCI compliance. – Gutenberg ready. BigCommerce for WordPress is designed for the future of WordPress. The integration is built to support Gutenberg, the updated WordPress editing experience, so that merchants have the flexibility to bring ecommerce into their site experience in the most visually-compelling way. – AMP compatible. BigCommerce for WordPress is the first ecommerce plugin to provide real-time rendering of data in AMP, leveraging both static and dynamic AMP components. Together, AMP and BigCommerce for WordPress deliver better page performance and higher search discoverability for your store. To learn more about how you can use BigCommerce for WordPress to create a content-rich, experience-driven ecommerce site experience, visit www.bigcommerce.com/WordPress. Those attending WordCamp US (Dec. 7-9) can also connect with BigCommerce representatives at booth G8 to learn more about BigCommerce for WordPress.